"My Mother was right: When you've got nothing left, all you can do is get into silk underwear and start reading Proust"
Jane Birkin's momma knew what she was talking about, didn't she? Now that we're done with All Hallows, we've got time again to get cosied up with a good book in the evening. Celebrating Halloween over the week has allowed time for Little M to perfect his scariest monster growls, although we should probably remember to put away the pumpkins & glittery skeltons from the from the front porch this eve before our neighbours start encircling Twee Towers with salt! This week we're starting volume one of Proust's considerably lengthy novel, In Search of Long Time or Rememberance with Things Past as it's otherwise known. 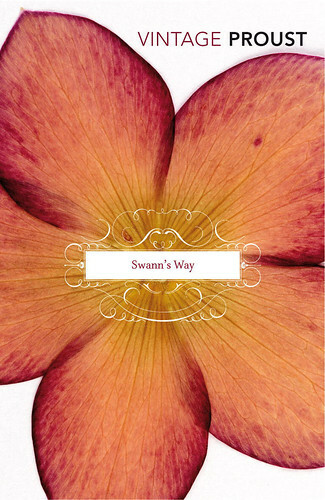 The volume itself is called 'Swann's Way'. We've been particularly good thus far and managed to steer clear of finding out too much about the plot so we'll let you know what we think when we're finished! Expecting all the fragmented, introspective goodness of Modernist literature! We also stumbled across another Proust gem today... Vanity Fair's Proust Questionnaire! In honour of the popular 19th Century parlour game that Proust believed to offer a deep insight into character and personality based on the individual's answers, Vanity Fair has collected the responses to questions on love, death, happiness and life from loads of our favourite icons & modern day luminaries! Take a look, it's a fascinating (an extremely addictive) read! You can even take the test yourself here and find out which cultural figure you most match up with. Feel free to leave some of your responses in a comment below :) Enjoy your weekend's amigos!